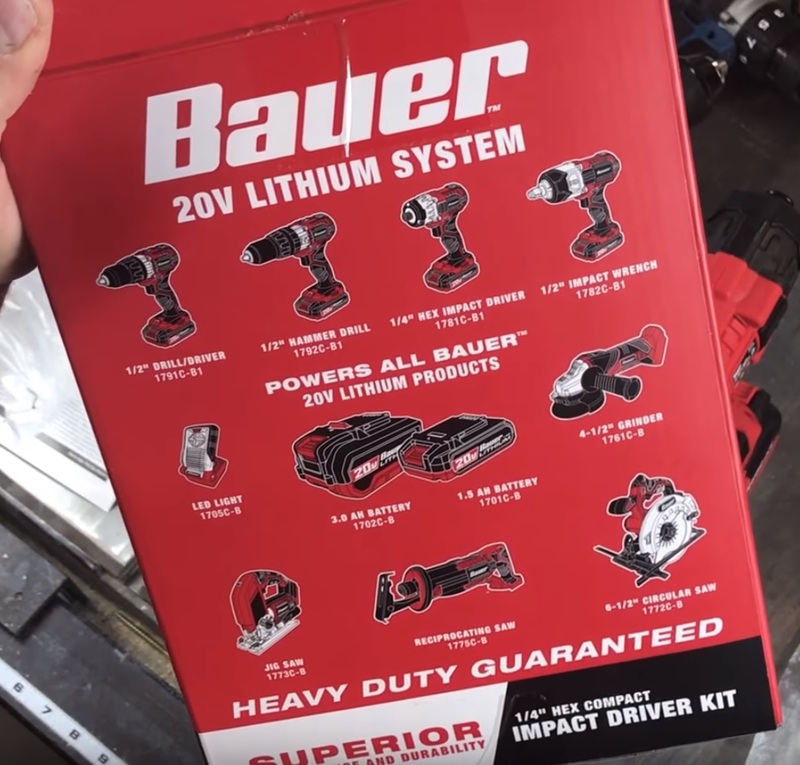 YouTuber Sean Carlin Designs who last week did an unboxing video of Harbor Freights Dewalt Clone Hercules brand and their 20V tools, is at it again with another video but this time he unboxes Harbor Freight’s other new cordless brand, the Bauer Hypermax 20V drill and impact driver. In his YouTube video, there are a few similarities to the Hercules brand such as they are also using slide pack 20V lithium ion batteries that have similar looking fuel gauges on the backs of the batteries, although Bauer’s batteries have a blue light to them. 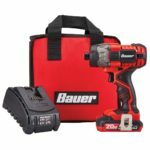 And they are also offer a Bauer branded compact drill and impact driver which are shown in the video along with a hammer drill that’s not shown in the video. According to Sean, he says they’re similar to the Hercules 20V tools which are comparable to Dewalt’s tools (based on holding the tools in his hand and pressing the trigger with no load). However if you look up the stats on the Bauer models, you will notice that they are spec’d with lower performance and have physically larger bodies which makes them more comparable to a mid range power tool brand like Porter Cable for example. In my previous Bauer 20V article, we discussed that the Bauer 20V tools seem to be direct competitors to Porter Cable and even have a similar looking design, although not quite. Back to Sean’s video, the batteries although cosmetically different, have a similar overall shape to the Hercules and Dewalt batteries (most cordless tool batteries share the same shape). 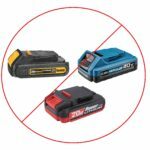 He went as far as to see if they were interchangeable with the Hercules and Dewalt 20V batteries and they are not compatible and vice versa, bummer. I wouldn’t expect them to be compatible with real Dewalt tools but I was kinda hoping they would be compatible and interchangeable with Harbor Freights in house Hercules brand. In my opinion the biggest news from the video is not the tools themselves but the back of the box which shows a picture of the current complete line up of Bauer Hypermax 20V tools. 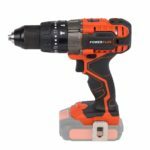 Besides the drill driver, hammer drill, and impact driver we already know about, they will also be having a cordless 1/2″ impact wrench, LED light, 4-1/2″ angle grinder, jigsaw, reciprocating saw, and a 6-1/2″ circular saw as part of the 20V lineup. Pretty cool and definitely fixes the issue of only have 3 tools to start off with and lacking variety. A line up such as this one is more well rounded and will satisfy the needs of most casual users. Obviously not all as the Bauer lineup cannot compete with the depth of variety of tools that other cordless brands have, that and no brushless tools as of yet. Big thanks to YouTuber Sean Carlin Designs for sharing this video! Damn…..I can see why you need tough tools. Do you always slam everything down that you touch. Anger issues, a little Bipolar or a combination?